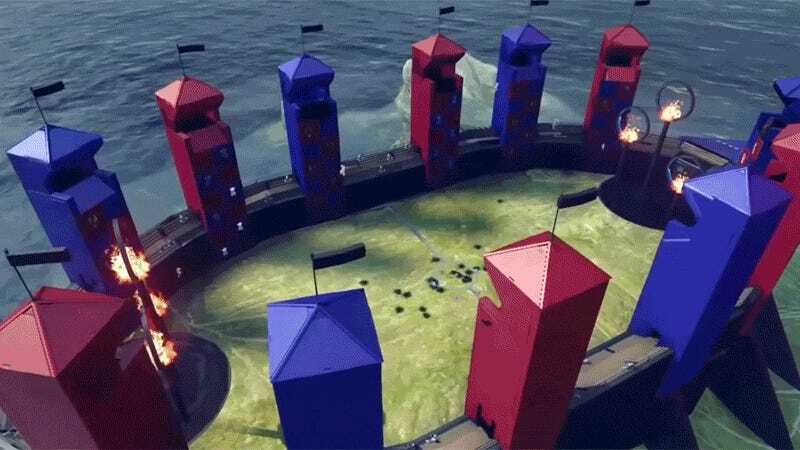 Halo 5 and Harry Potter sounds like a weird combination, but Hugabear’s custom mini-game, which adds Quidditch to Halo 5's Grifball, looks pretty fun. Grifball is a game mode in Halo 5 where players with Gravity Hammers and Energy Swords have to grab the ball and get it through one of the hoops. In this particular mode, it’s all tweaked to match Quidditch rules. 3 points for throwing the ball through the hoops and 1 point for a ground pounding. 15 points are needed to win.